83% of Gimnasia’s matches had under 2.5 goals in Primera Division (Argentina). San Martin SJ conceded at least 1 goal in each of their last 8 matches in Primera Division (Argentina). 31% of Gimnasia’s conceded goals occurred after the 75th minute in Primera Division (Argentina). San Martin SJ have conceded 2 goals or more in each of their last 4 away matches in Primera Division (Argentina). Internacional have been undefeated in their last 17 home matches in Serie A (Brazil). 33% of Atletico MG’s conceded goals occurred after the 75th minute in Serie A (Brazil). Internacional have scored 2 goals or more in each of their last 5 home matches in Serie A (Brazil). Atletico MG have scored in 71% of their away matches in Serie A (Brazil). 66% of Internacional’s points have been earned at home in Serie A (Brazil). 70% of Atletico MG’s points have been earned at home in Serie A (Brazil). Arzachena have lost 73% of their matches in Serie C (Italy). 67% of Novara’s matches had under 2.5 goals in Serie C (Italy). 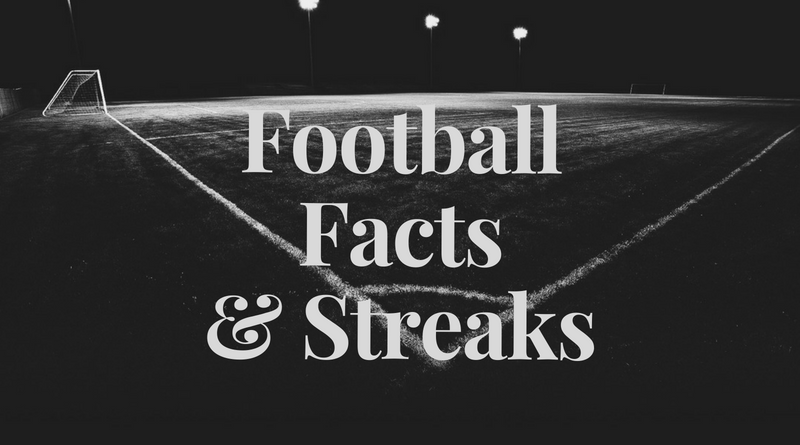 67% of Siena’s matches had under 2.5 goals in Serie C (Italy). Borac Cacak conceded at least 1 goal in 75% of their home matches in Prva Liga (Serbia). 80% of Borac Cacak’s points have been earned at home in Prva Liga (Serbia). Borac Cacak have scored 71% of their goals at home in Prva Liga (Serbia). Novi Pazar have failed to win in their last 17 matches in Prva Liga (Serbia). Novi Pazar have failed to score in their last 5 matches in Prva Liga (Serbia). Novi Pazar have failed to win in their last 8 away matches in Prva Liga (Serbia). 71% of Radnicki 1923’s matches had under 2.5 goals in Prva Liga (Serbia). Radnicki 1923 have scored 75% of their goals at home in Prva Liga (Serbia). OFK Becej 1918 conceded at least 1 goal in 75% of their home matches in Prva Liga (Serbia). OFK Becej 1918 have lost 62% of their home matches in Prva Liga (Serbia). FK Zlatibor have scored in 75% of their away matches in Prva Liga (Serbia). FK Zlatibor have conceded 2 goals or more in each of their last 4 matches in Prva Liga (Serbia). Sloboda Uzice have failed to score in 62% of their home matches in Prva Liga (Serbia). 85% of Sloboda Uzice’s points have been earned at home in Prva Liga (Serbia). Bezanija have scored in 75% of their away matches in Prva Liga (Serbia). 70% of Zarkovo’s points have been earned at home in Prva Liga (Serbia). 80% of Zarkovo’s conceded goals were conceded away in Prva Liga (Serbia). 75% of Metalac’s points have been earned at home in Prva Liga (Serbia). Metalac have scored 74% of their goals at home in Prva Liga (Serbia). Metalac have scored 2 goals or more in each of their last 3 matches in Prva Liga (Serbia). 76% of FK Trajal Kruse’s matches had under 2.5 goals in Prva Liga (Serbia). FK Trajal Kruse conceded at least 1 goal in 75% of their home matches in Prva Liga (Serbia). 82% of Sindjelic’s matches had under 2.5 goals in Prva Liga (Serbia). Sindjelic have scored in 75% of their away matches in Prva Liga (Serbia). 68% of Sindjelic’s points have been earned at home in Prva Liga (Serbia).